Humans have given value to gold for thousands and thousands of years and nowadays, as trading is more refined, investing in gold has become increasingly popular. Gold comes in all shapes and sizes and the type and amount of gold which you purchase directly correlates with what type of trader, investor you are. Ten gram gold bars will be the focus of the following few sections and while, at face value, it may seem like there isn’t much you have to know about them, 10 gram gold bars have a lot of different distinctions that may set one type apart from another. 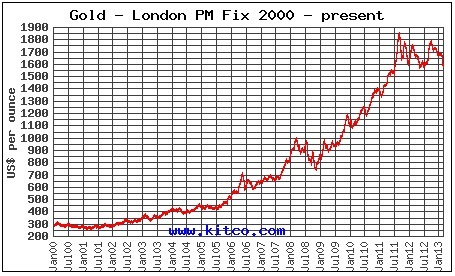 With the advance of the internet and e-commerce, precious metals trading has become increasingly easy to be a part of. Nowadays there are multitudes of online precious dealers looking to both sell and buy gold bars. If you are in the market for 10 gram gold bars you are likely a smaller investor or one who is just beginning. These bars are not the smallest around but they are by no means the largest either. Produced by a lot of different companies there is much to know and find out that will be discussed in the following few sections. Before becoming acclimated with the investment environment, most would think that each and every 10 gram gold bar was the same as the last. The reality is that gold bars, including the 10 gram variety, are produced and distributed by a few different companies and while it may be hard to believe, brands matter. In fact, the producer of the bar typically directly correlates with final price of the bullion itself. In addition to the producer of the bar, the condition of the bar also matters so it is imperative that you be aware of the condition of the bar before purchasing, especially in online situations. 10 gram gold bars are still a relatively small bar as far as gold goes and because of this the packaging that they are typically shipped in is protective. More often than not you will find that your gold bar is encased in plastic and because these bars are small, along with the plastic comes assay as well. The assay is usually a cardboard attachment that certifies that the gold bar inside the plastic is actually 99% pure gold. This may seem unnecessary but since gold encased in plastic typically stays encased in plastic there is no way, other than assay, that the owner can be certain that his or her product is authentic. If you make a purchase of 10 gram gold bars that do not have assay you are risking the authenticity of your bullion purchase. While many 10 gram gold bars come encased in plastic, many others do not and are simply shipped in nothing more than box or package. These bars, when purchased from a trusted online dealer, are sufficient investment vehicles but must be cared for more than most other bars. The reason behind this is because not only are 10 gram gold bars small, they are also susceptible to being tarnished or damaged. Taking care of your investment is a key part of preserving the value of your bullion. 10 gram gold bars are not the smallest bar in existence but they are assuredly still quite small. If they are not encased in plastic they tend to be easy to lose and thus must be cared for even more fervently. 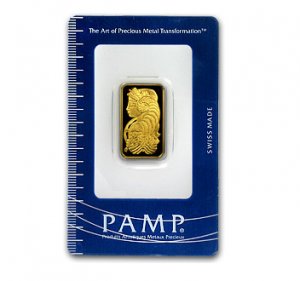 Typical dimensions for a 10 gram gold bar are 31mm x 18mm x 1mm. This is not the case for every gold bar as some producers skew the dimensions a bit. When investing in gold bars you will often come across the term, “premium.” To ease your confusion, premiums are simply the amount of money the gold dealer charges above the value of the gold present in the bar. As we all know, gold’s value is always changing and fluctuating, sometimes up sometimes down. As precious metals dealers are businesses for profit they cannot simply sell their gold for the current market price as that will clearly yield no profit. Instead they add a premium on top of the value of gold in order to gain some profit for their business as well as to cover business operating costs. When looking to purchase 10 gram gold bars from reputable online dealers you should expect to see premiums of anywhere from $20-$30 depending on the dealer and producer. Of course it is always recommended that you shop around from site to site before purchasing in order to give yourself the best deal available.